The April meeting of the NATO-Russia Council has been productive, says NATO chief. 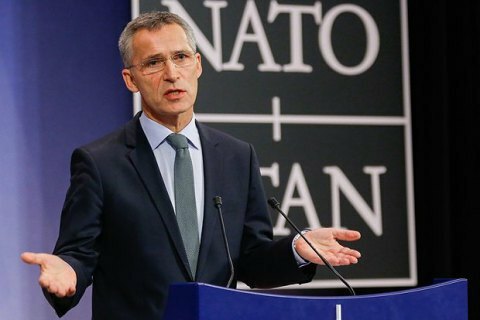 "Our relationship with Russia will be one of the issues we will address at the foreign ministerial meeting, and what I will do is that I will report back, update the ministers on the outcome of the meeting of the NATO-Russia Council we just convened a couple of weeks ago," Stoltenberg told reporters Wednesday. NATO approach to Russia combines strong defence and deterrence with dialogue, Stoltenberg said in his opening remarks. He reminded that the Alliance have already decided to enhance presence in its eastern parts: "Our military planners have put forward proposals for several battalions in different countries in the region. No decision has been taken on the numbers and locations. But we are now considering the scale and the scope of our presence in the east." At the same time, NATO will continue to strive for more transparency in our relationship with Russia on military matters and reduce the risks of incidents or accidents spiralling out of control. "NATO does not seek confrontation. It is in everyone’s interest to avoid a new arms race," Jens Stoltenberg said.